The City of Lathrop is located in the central San Joaquin Valley, 70 miles east of San Francisco, and is confident in its growing role as a choice community for raising families and building businesses. 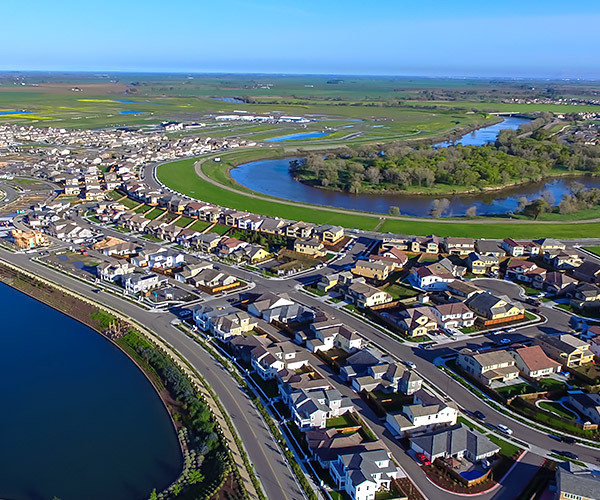 Lathrop is in the midst of becoming Northern California’s fastest growing and most comprehensive master Planned Community. The proximity to San Francisco, the Delta, Sierra Mountains, parks, schools, churches and more create a wonderful quality of life for all residents. Lathrop has established a desirable balance between quality living and quality growth. That balance is carefully maintained through long-term planning and fiscal responsibility. Lathrop is a family-friendly city with excellent schools and an exciting Parks & Recreations Department that serves the population of 23,110 people. The existing and immediately adjacent retail, professional, academic and residential developments are about to be complimented with many more developments in the near future.